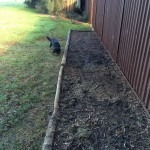 Not all of us have half a metre of topsoil in our backyards – unfortunately. 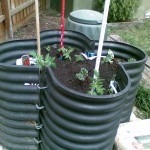 So to get a decent depth for plants, especially veggies, to grow, we are confronted with the need to create raised beds. And if there is lawn next to the garden beds we usually want some sort of barrier to slow grass invasion. 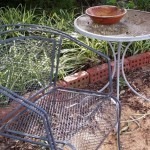 Edging materials can be expensive, so why not repurpose “rubbish” from elsewhere? It saves money and helps the planet too. 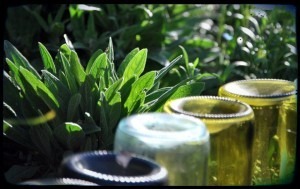 In our recent competition for photos of recycling, resourceful SGA supporters sent us great ideas for how to do this. Here are some of them. 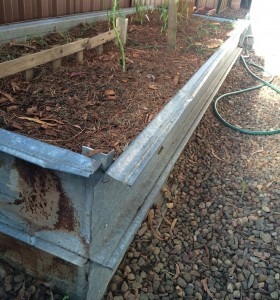 Ferelise and Alan Bonollo have used second hand roof decking bolted to star picket pieces to raise sides of 10 vegetable beds about 7 metres long. 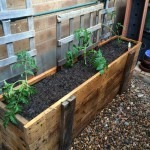 A similar approach has been taken by Greg Thomson who has constructed raised garden beds from long lengths of metal from a friend’s house when she had her roof replaced. But the uprights in this case were aluminium angle corners salvaged from an air conditioner contractor on a building site. He has also used salvaged poles and branch material just laid on the ground and constructed a sturdy bed from timber found elsewhere. Many interesting items appear on the street for Council collection. 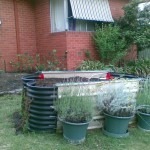 Chris Reischel writes “Many of these ‘old’ corrugated compost bins seemed to be appearing on the scrap heap of people’s front nature strips, being thrown out as no longer useful. I knocked on doors and asked politely for them, collected them over a few months, strapped them together with cord, in one case added two strips of old colour bond fencing and created the cheapest easiest elevated garden beds around. Vegetables and rhubarb have grown fabulously. 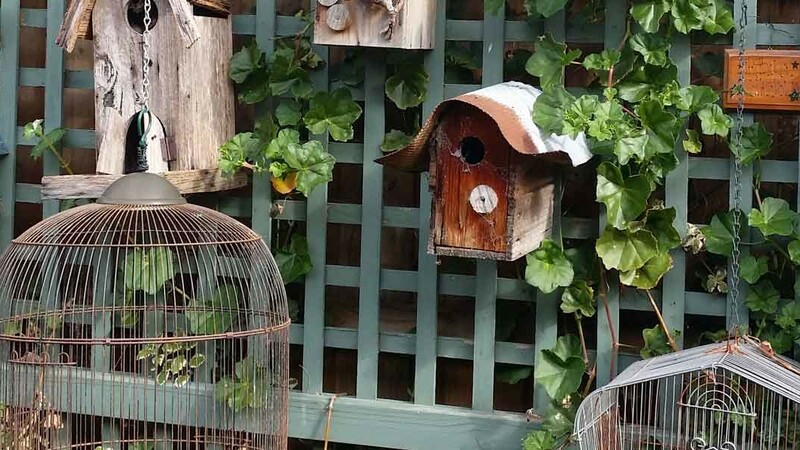 And, of course, old house bricks which always seem to turn up in backyards are extremely useful – even those with the holes as Tine Grimston has found.